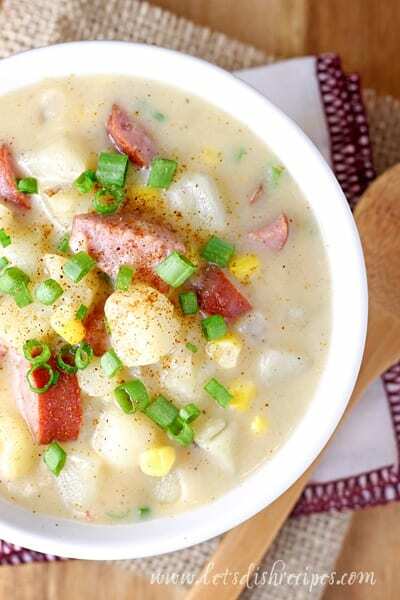 CAJUN SAUSAGE AND CORN CHOWDER — This thick, hearty chowder is loaded with smoked sausage, potatoes and corn, with some Cajun seasoning for a spicy kick! Soup season has officially begun here in Colorado, and a good, hearty chowder is always at the top of my list of favorites. 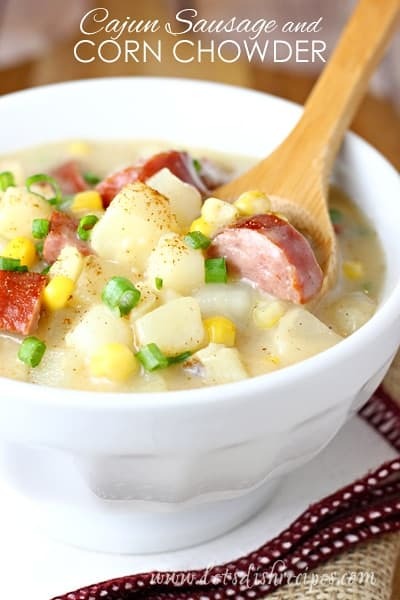 And this Cajun Sausage and Corn Chowder has everything I look for in a soup recipe. Personally, I would eat soup every day during the fall and winter months. I’m not sure my husband and boys would oblige me thought. But if it’s a flavorful, filling soup like this one, they might be okay with it. 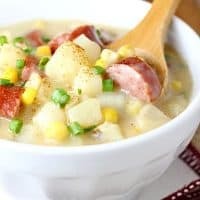 This soup is loaded with potatoes, smoked sausage and corn, all in a thickened, creamy broth with some Cajun seasoning for a bit of kick. It was definitely a hit with the hungry crowd I feed every day. Serve it with some thick, crusty bread and it’s pretty much the perfect meal for a chilly evening. The best part is, this soup is so easy to put together and only dirties one pot, so clean-up is a snap! The recipe as written is not overly spicy, but you can easily adjust the heat up or down by changing the amount of Cajun seasoning and cayenne. I recommend starting with less and adding more until it’s just the way you want it. If you like things really spicy, I recommend andouille sausage in place of the regular smoked sausage. 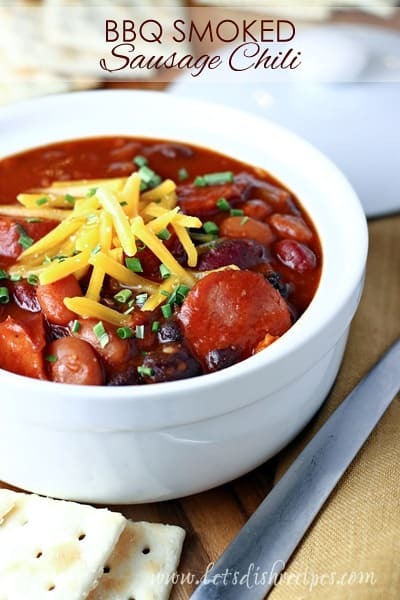 One of my favorite things about soup, besides the comfort food factor, is how easy it is to make substitutions to suit your tastes or use what you have on hand. And this recipe is no exception. 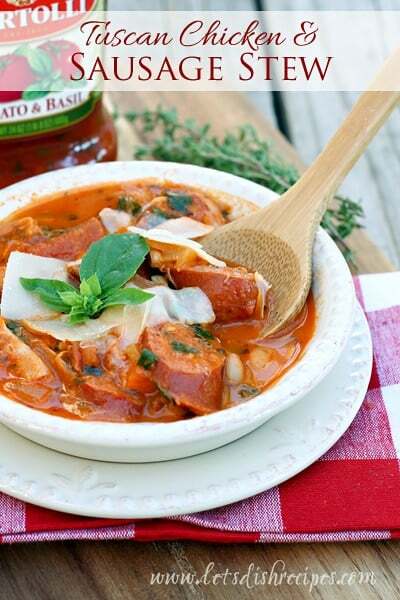 No matter how you make it, it’s sure to become a quick and easy family favorite. I know I’ll be serving it again and again. 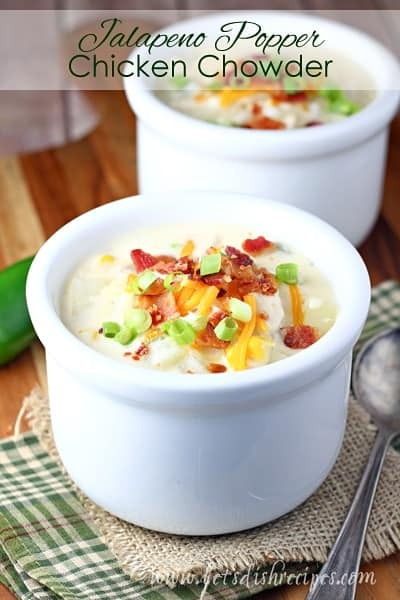 Be sure to save this Cajun Sausage and Corn Chowder recipe to your favorite Pinterest board for later. In a large Dutch oven, heat oil over medium heat. Add onions and garlic and cook until soft, 3-5 minutes. Add chicken broth, potatoes, sausage, corn and Cajun seasoning and bring to a boil. Simmer for 8-10 minutes, or until potatoes are just tender. Meanwhile, whisk together milk and flour in a medium bowl until smooth. Slowly whisk milk mixture into soup and return to a simmer. Cook until thickened, about 5 minutes. Season to taste with salt, pepper, and cayenne. Stir in green onions just before serving.